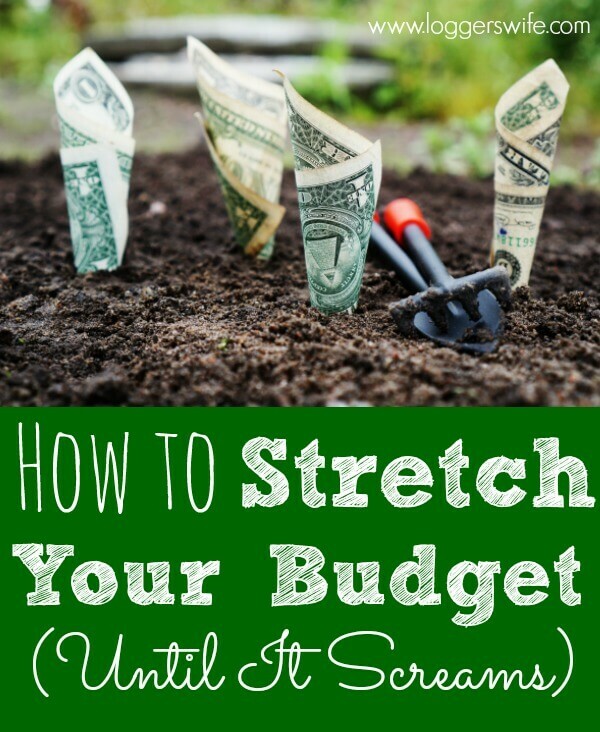 Sometimes you want to stretch your budget a little because of a big purchase you want to make or something else you are saving up for. Or maybe you just want to save some extra money for security. Sometimes you have no choice but to stretch your budget. Whether it’s an income problem, debt problem, or a loss of job, you have to stretch your budget as far as you can. My father always used to say that I could rub two pennies together and make a dime. 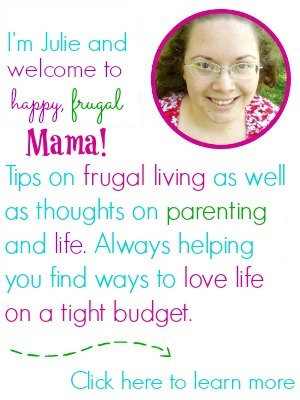 My husband once said that I could stretch a budget until it screamed. 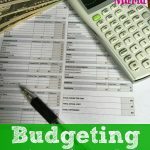 If you are at a point where you need to stretch your budget until it screams, you have come to the right place. 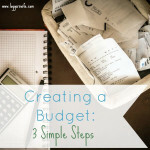 This post is all about the steps to take to get your budget to stretch as far as it can. Don’t leave any bill out. Gather all of your regularly occuring bills. Look through each one and see if there is anyway you can cut back. Are you paying for a TV plan that you aren’t really using? Get rid of it or switch to a cheaper plan. Same with your cell phone. Don’t just blindly pay for a plan without knowing what you’re really paying for. Don’t pay for more than you need either. Some places you can change your electricity supplier. That can save a bit on your electric bill. Don’t just think about utilities. Think about things like your car and home insurance. Again, anything regularly occurring needs to be reviewed. It will take some time but get quotes, shop around, make phone calls, do online chats, everything you can do. You’d be amazed at how much you can save with some leg work. I’m sure right now you’re thinking, “I already know how to cook. This one isn’t helpful.” This is more than just throwing together dinner. Learn how to do most of your baking. Take time to make your own convience type foods. The more you can make yourself, the more money you will save. Think outside the box on this one. 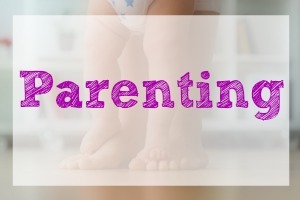 Pre-kids, I made yogurt in the slow cooker each week or so. It was about half the cost of buying premade yogurt cups and healthier too. It may have only been a $1.50 savings each week but that’s $78 a year. 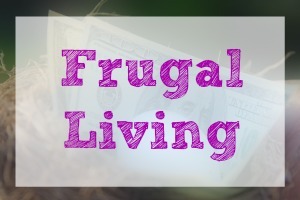 If you make most of your own foods, you can easily save a few hundred dollars a year. Bartering isn’t something that only happened in days gone by. It is alive and well today! Do you have a skill you can trade with someone else? Maybe you are great at simple plumbing repairs but horrible at painting. You may have a friend who loves to paint but doesn’t know a thing about plumbing. Consider trading services. Maybe you raise backyard chickens and have plenty of eggs. Use those eggs as something to trade for something you need. We used to have friends who raised meat birds. We make maple syrup. We would give them syrup for a couple chickens for the freezer (they had them butchered and prepared by a professional so we were getting them already frozen). You can also often borrow the things you need from friends if you are responsible with not breaking things and returning them in a timely fashion. Need to power wash the siding? Check around to see if a friend has a power washer you can borrow. Need a dress for an event? Check with a friend who is the same size as you. We even borrowed baby gear from a friend when our oldest was a baby. We just washed it up and returned it when we were done with it. Yes, buy used that often. Clothes, furniture, cars, appliances, baby gear, just about anything can by purchased used. Obviously, there are things like underwear and shoes where buying new is necessary. There are also times where buying new can be just as much of a bargain as used if you have a salvage store or scratch and dent store or even just an excellent sale (I purchased my washing machine brand new for $350 instead of $1000 because it was returned for having a dent in it). 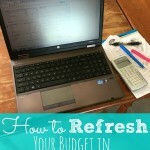 Keep a running list of things you need, clothing sizes, etc. Then keep an eye on Craiglist, Facebook groups, yard sales, and thrift/consignment sales for those things you need. Just make sure you aren’t spending money you don’t have by buying too much because it was a great deal. Also be careful how you meet people to buy things, make sure things are in good condition, etc. You don’t want to spend $100 on a chair that really should only be $80. Most of the time, it is totally okay to dicker a little. This can be location dependent though. Only you know if this is acceptable in your area. 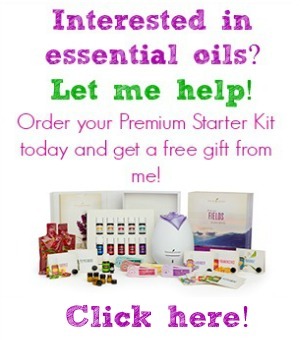 There can be so many free resources out there if you just look. Some libraries have more to offer than others but with interlibrary loan, you can often borrow just about any book or movie you want. In the summer, many places offer free concerts in the park or free outside movies. Even going out to eat on occasion can be possible on a tight budget by taking advantage of things like kids eat free nights. Also be willing to take things like hand me down clothing or if a friend has an over abundance of produce. The day I wrote this I put 27 and half cups of rhubarb in the freezer. I’m not a huge fan of rhubarb but my husband is and I’ve learned to find recipes I like. For free, I am willing to try new things and methods. 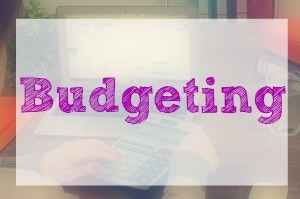 If you do these things, you’ll be able to stretch your budget pretty far. Even the smallest income households will be less stressful. 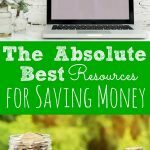 If you would like more resources about living on a tight budget, be sure to check out these other posts. Great tips. I’m looking forward to reading your other posts too. Thanks for the inspiration. Stopping by from Tuesday Talk. Those are great tips! We’re in the process of getting rid of cable TV and just sticking with streaming services. I can’t justify spending $90 a month anymore for only a few hours of TV watching each month! We used to spend just over $70/month on satellite TV. I have us down to $25/month now. It’s crazy how much TV can cost.